Cycling Challenge is probably the best web site about cycling in the Alps. A website that shows the Top Cycling Climbs in the US. Tanya and I have started riding with bright rear lights. Interestingly, it seems that cars give us a wider berth when the lights are flashing. 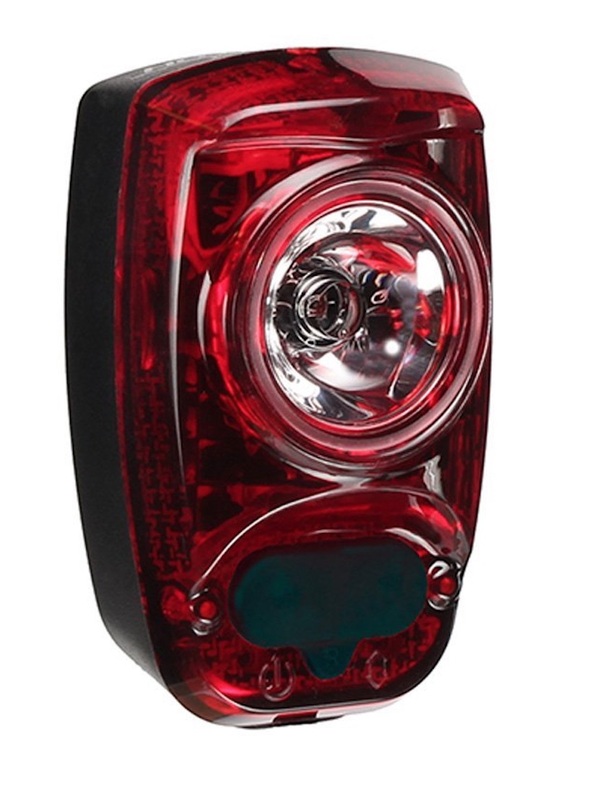 We chose the CygoLite Hotshot Pro 80 lm USB Rechargeable Bicycle Tail Light. These are very bright lights that are visible from a distance even in bright sunlight. You can read reviews here and here. I use a variety of sources for the distance and elevation gained: my Garmin 500, Google Maps, and John Summerson’s book, The Complete Guide to Climbing (By Bike). If I’m describing a climb in Summerson’s book, I usually use his statistics. If I’m riding with my Garmin, I usually use the distance and elevation from the Garmin. If it’s not a Summerson climb and I forgot my Garmin, I use Google Maps. And sometimes I’ll compromise between my Garmin readings and what Google says. GPS elevation readings are simply not very consistent so the elevation gained can vary between sources. I’ve even been on a ride with a friend who also has a Garmin 500 and our bike computers showed a difference of several hundred feet at the end of the ride. In other words, whatever the source, the computed elevation gained is an approximation of reality. 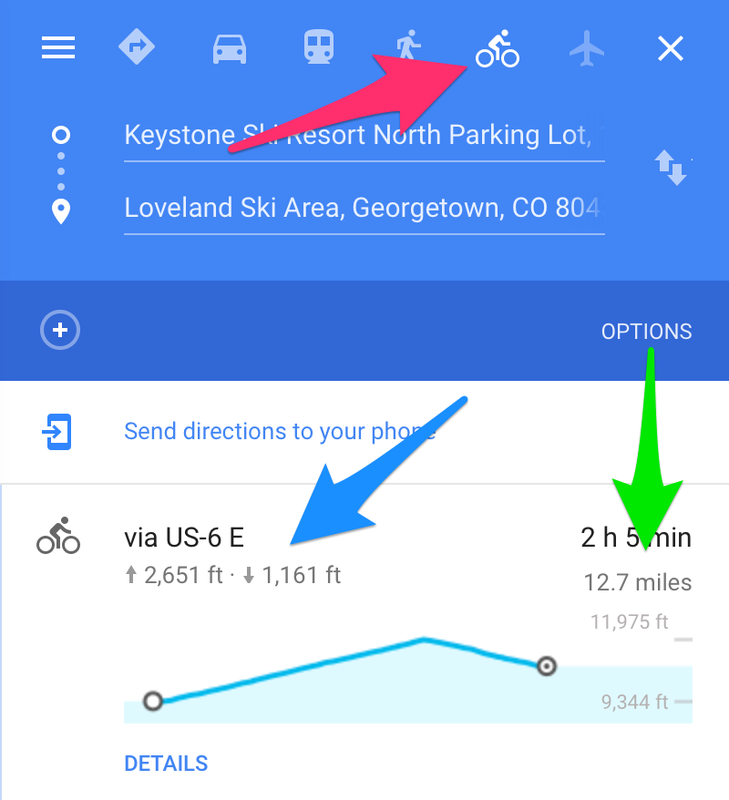 Google Maps will show you a basic ride profile and give you elevation gained and lost – if you choose the Bicycle option. One thing to be aware of is that Google sometimes re-routes you if you go from Car to Bicycle, so make sure the route is still correct. The red arrow points to the Bicycle option, blue to elevation gained and lost, and green to distance traveled. The ride profile is shown below the elevations and distance. 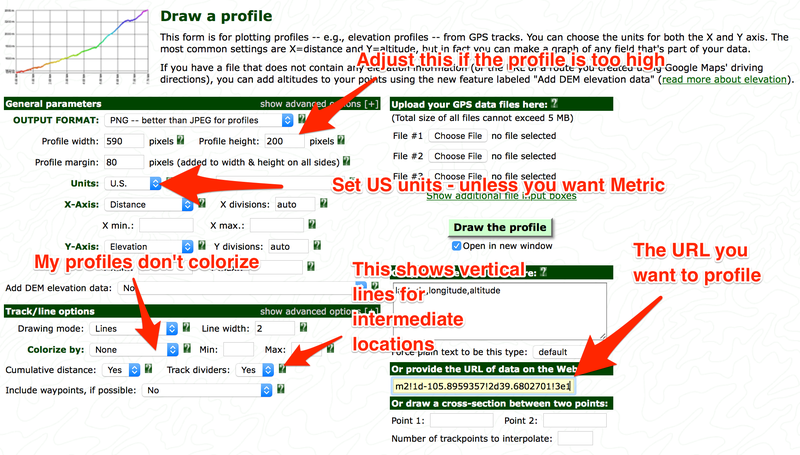 I use GPS Visualizer for the profiles. So, how do you get the URL from which to generate a profile? The easy answer is to copy the URL in the web browser after you’ve created the route in Google Maps. and then select Share or embed map and copy the URL.